The only cool blue in the Galaxy! 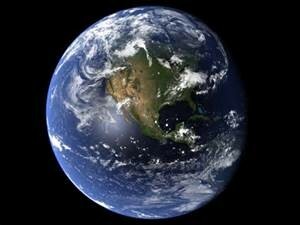 Earth is a small planet with a diameter of 12,756.3 km and a mass of 5.972e24 kg. Earth only has one moon. Earth is the only place in the Milky Way that has water! 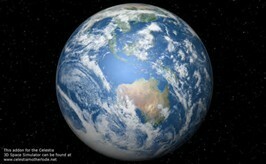 Water is crucial to life on Earth. There are four seasons on Earth that are caused by the tilt of the Earth on its axis. 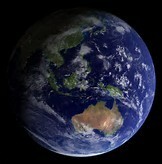 Earth rotates every 24 hours and makes a complete revolution every 365.25 days. Organisms on Earth gets all its energy from the sun indirectly somehow. A light year is the time it takes for light to travel one year. It travels at 186,000 miles per second. Gravity is the force responsible for the formation of everything in the solar system. If you come to Earth and decide to go somewhere warm then go to a place on the equator. If you do go there then you should bring some sunglasses! But if you want to go to the polar regions, then you should bring lots of coats!